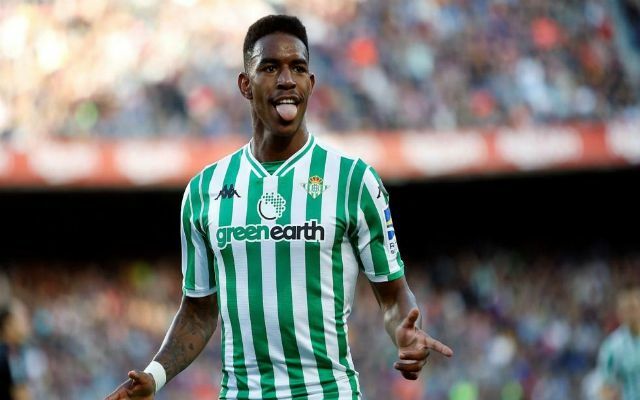 It looks like we’re facing up against Real Madrid once again – but this time it’s the signature of Real Betis left-back, Junior Firpo, that we’re vying for. ESPN have reported that Real Madrid are after the Dominican Republic-born Spanish defender but will face stiff competition from Liverpool, Barçelona, Juventus, Manchester City, and Arsenal. The 22-year-old has been in fine form for the Seville side, scoring and assisting in the shock 4-3 win over Barça at the Camp Nou in November. The Spain under-21 international signed a contract extension with Real Betis recently that keeps him with the club until 2023. The news being propagated by ESPN suggests that Real Madrid tried to trigger Firpo’s €50 million release clause in the summer. For a young prospect, playing in a sought after position, it’s definitely worth forking out that kind of money. The Spanish left-back’s pace and skill has allowed him to play in a left midfield role at times, which would be welcome news for Jürgen Klopp’s penchant for versatility in his signings. We are also desperately in need of cover for Andy Robertson and it looks like Alberto Moreno will be on his way out in the summer. It would also be a touch of class to get one over on Madrid by plucking a target out from under them.